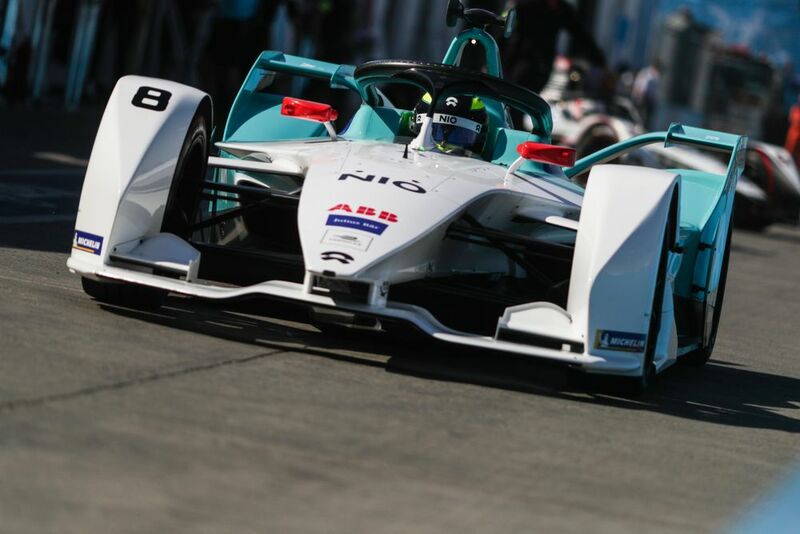 There were a ton of penalties during last weekend's Formula E race in Santiago - but exactly what were they all for? OK, so you watched the Santiago Eprix. You saw Lucas di Grassi get pole, then get sent to the back of the grid. You saw Alexander Sims cross the line in third then get relegated to seventh before he’d parked his car. You saw the final standings whirl in rapid adjustments like the world’s most confusing one-armed bandit. What was all of that? The good news is: I can explain. And a lot of it even makes perfect sense. I swear. Hit the Law & Order sound effect and head into my office for the full debriefing. 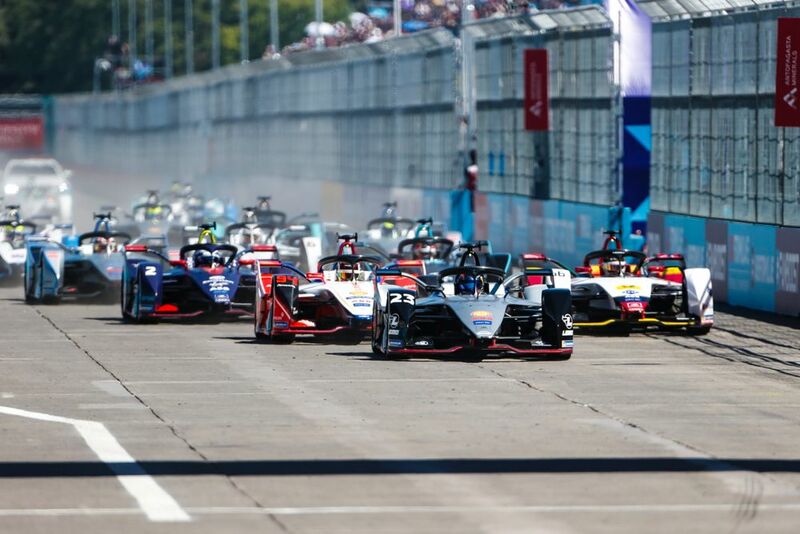 Formula E is famously a one-day event, aside from shakedown which usually takes place the day before to just check everything’s in working order for the main show. Which means cars are on track and the Thunderdome of penalisation may commence. Four drivers were issued penalties on Friday, split over two different offences. Oliver Turvey and Tom Dillman found themselves, for a third time, foul of battery software installation guidelines issued by McLaren (who manufacture the Gen2 energy store) and fined €1,000 a piece for their troubles. They’re probably a bit cold to it by this point, having racked up €10,000 each in fines for the same offence over the previous rounds. 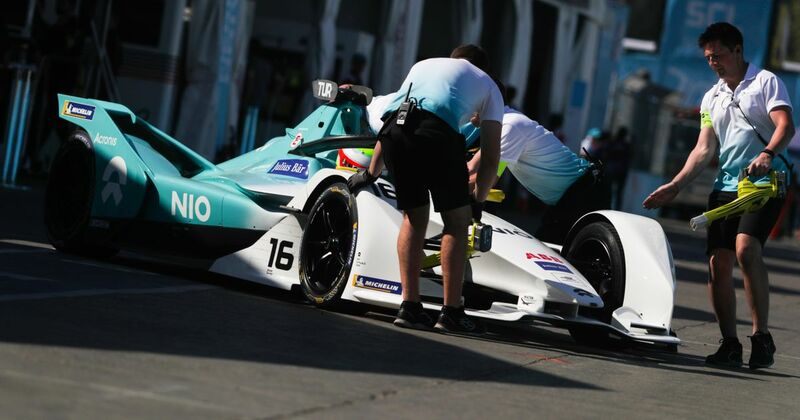 It sounds like a really nit-picking penalty but in reality it’s ‘the battery is stating it has a different amount of power to that which it actually has,’ which when that’s fuelling the racing is a fairly crucial problem that the NIO team can’t seem to fix. Meanwhile, Pascal Wehrlein and Felipe Massa got smacked on the wrist for speeding offences - Wehrlein for exceeding shakedown power limitations (where cars are limited to just 110kW for three sighting laps) and Massa for a cheeky bit of speeding in the pit lane. Wehrlein got hit for a cool grand and Massa escaped with just a €300 fine. On a side note, it’s quite weird reading fine-related penalties because they always have the FIA’s bank details on them. But none of these were going to impact race results more than they would the number of drivers getting a round in at the after party. Saturday actually started bright and early with a €500 fine to Andretti for a mechanic working on Alexander Sims’ car without wearing their pit staff pass after shakedown. 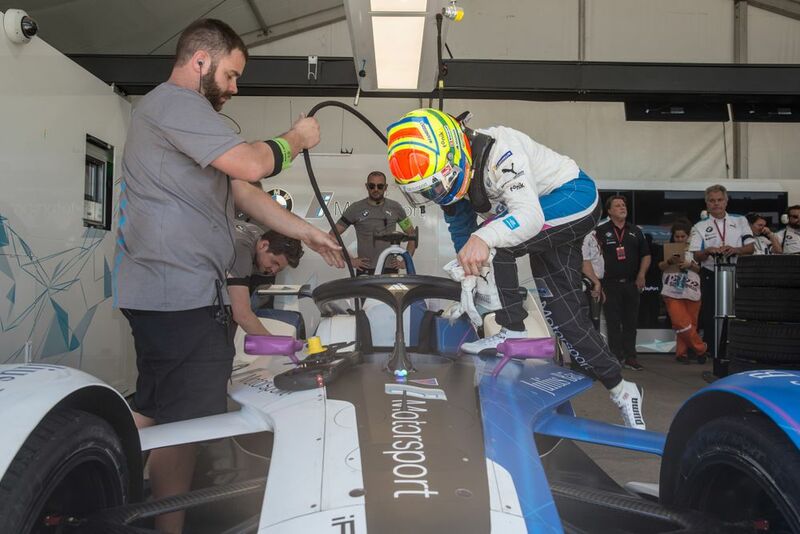 I have no idea what the actual context of this is but only a certain number of authorised staff are allowed to work on Formula E cars during a race weekend and that’s indicated by wearing a particular type of pass, so someone like me can’t go up and poke the cars basically. It was almost certainly an innocent mistake - I actually kept taking my own lanyard off in the media centre because it was so hot the thin fabric felt like a scarf. Then someone else in the Andretti garage worked on a back-of-garage data computer without the right pass after FP1, which earned them another €1,500 bank transfer to the FIA. Anyway, with that out of the way, it was time to start penalising people properly. Both of Dragon’s drivers, Jose-Maria Lopez and Maximilian Gunther, got formal reprimands for cutting the chicane without stopping before rejoining the track during Free Practice 2. Jerome d’Ambrosio also got investigated for leaving the pit lane under a red light but escaped with no further action. By the time we got to qualifying, cursed object Stoffel Vandoorne pulled out some astonishing performance to get his HWA into Super Pole, only to have his time from the session deleted as he wasn’t let out in the right window. Super Pole laps have very tight timings when cars are released and it’s difficult for teams and drivers to manage them at first - in Marrakech in Season 3, then-new team Techeetah completely failed to release Jean-Eric Vergne at all. It’s annoying but starting sixth would have only been one place back from where he ended up anyway. 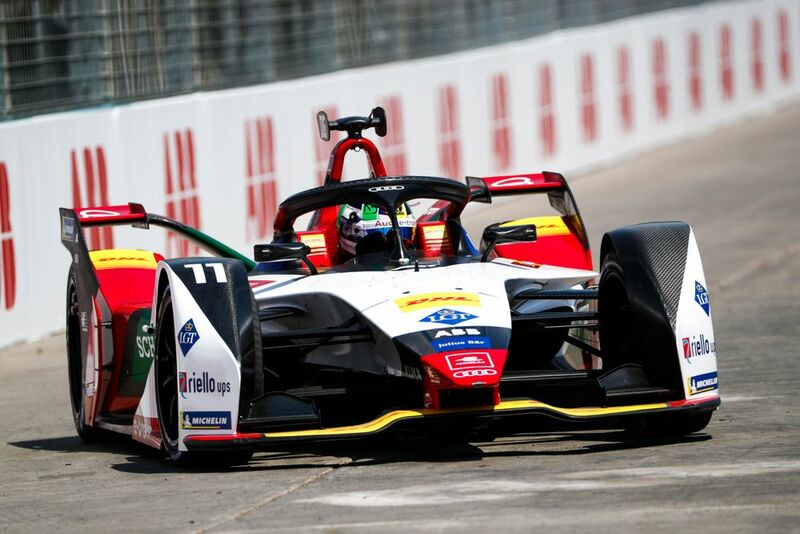 And the big, controversial one - maybe the biggest of the weekend: Lucas di Grassi, after taking an extraordinary pole position by more than half a second over Sebastien Buemi, was completely disqualified from the whole session. Which put him back to 22nd place and not in the cheeriest of moods. The reason sounded abstract: he’d used his brakes too much on his in-lap from his group qualifying session. Too much? What is too much braking, for goodness’ sake? In this context, it’s using your brakes more on a slow in lap than on a 250kW qualifying lap. Why? Well, Sam Smith sniffed out that it’s possibly because drivers are trying to keep their tyres extremely hot to change which pressure measurement they’d have to comply with. So it actually has a big sporting implication (the softer the tyres, the faster you can go) and crucially, Di Grassi was the only driver found to have not complied with it. Then we went green - and straight to the stewards. 15 minutes into the race, Gary Paffett was penalised for using too much power, earning himself a drive-through penalty. Which was the only penalty actually issued during the race time, rather than the subsequent flurry of papers to the noticeboard - and journalists to our keyboards as the race result repeatedly adjusted. Formula E has a time constraint problem, with everything happening so fast - stewards decisions should, rightly, be considered and to do it as quickly as they do at Formula E is impressive but it does mean you often get post-race Shenanigans™️ and boy did we get those in Santiago. The first was stewards-popular Lucas di Grassi, this time for causing a collision that cost him 34 seconds off of his finishing time. Also booked for causing a collision was Alexander Sims, whose third place finish was also demoted by 19 seconds for contact he didn’t feel had happened between himself and Edoardo Mortara - shoving him back to seventh before he’d even got to the champagne. Then Jose-Maria Lopez was booked for excessive power usage, also facing a 19-second adjustment that shuffled him out of the points from tenth at the chequered flag. Andre Lotterer got a five-second penalty for a confusing move under yellow flag conditions where he overtook Di Grassi, although having finished last (apart from a lapped Gary Paffett) that didn’t require any major reshuffling. BMW Andretti protested Sims’ penalty, only to have the appeal rejected. And then Jerome d’Ambrosio, who’d rescued a disastrous qualifying and 20th-place start to finish eighth, got a five-second penalty that saw him go back to tenth and lose his narrow championship lead to race winner Sam Bird. Finally, Jean-Eric Vergne got booked for the same offense as d’Ambrosio (not reducing speed enough under Full Course Yellow) although having not finished the race, that also had no final effect. And Sam Bird’s investigation into underweight running that looked set to cause total chaos never made it to an action. Phew. Revisions to final results posts by journalists trying to file copy: ??? Let’s say… at least a sweaty 5.